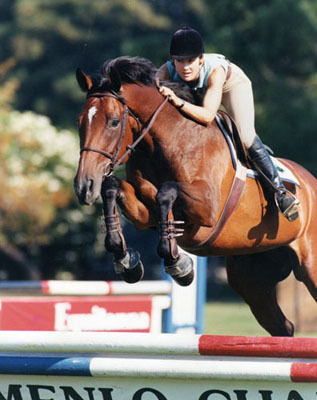 Siri Larssen is a hunter, jumper and equitation trainer based in Marin County, north of San Francisco. When working with horses and students she blends aspects of a traditional background with experience and knowledge gained from mentors Tom Dorrance, Ray Hunt and Terry Church. Siri offers training and clinics for people who enjoy competing while staying mindful of their horse's true nature and expressive spirit. Siri Larssen's love of horses began with her first encounter at the age of ten. Starting out as a groom and hotwalker for polo players at Will Rogers State Park provided her an opportunity to figure out much about the nature of horses and the challenges they present through watching and experimenting. "Looking back," she says, "I realize how lucky I was to have been in a situation where I had to figure things out for myself on horses possessing athleticism, experience and willing attitudes. As a result, they could fill in for my inexperience which allowed me to do a lot of fast paced riding without being afraid. This helped me in developing my confidence for the riding I have done throughout my life." Within two years Siri became interested in jumping. With help from her mother she was able to take intensive instruction from Ballard and Dianne Williams, Mousie Williams and Ronnie Mutch, as well as attend many clinics with George Morris. "I feel particularly fortunate to have had such great guidance with my first horse, Valrullah, bought off the race track as a four-year-old when my mother saw him listed in a classified ad. He was a fireball of energy, try and talent, teaching me a great deal about patience and tact with a horse. If I didn't mess him up we could win everytime." These pictures show Siri and Val's development through her junior years. "It was while working with Mousie that I saw how a thoughtful horseman could help a horse keep his self-confidence through some very simple exercises. 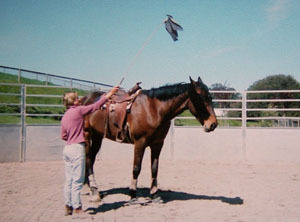 Although I did the riding on Valrullah, Mousie regularly jumped him loose in the chute or on a lariat. Her horses learned to think for themselves and had an opportunity to improve their athleticism and confidence through trial and error. She never let the horses get into deep trouble, but set up a challenge from which they could find their way to a solution. I absorbed these concepts without really knowing it. Later, when I came to ride horses without this foundation I knew there was something crucial missing. I devoted a lot of time to learning how to use my lariat. After twenty-two years of helping a horse lead, trailer load, longe, and jump a variety of obstacles, I am still learning new ways to influence a horse with a sixty foot piece of rope." 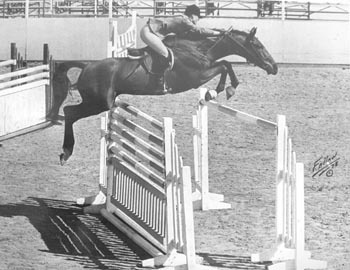 For four years Siri enjoyed tremendous success on Valrullah in both the junior and open divisions, earning championships at Del Mar, The Forum, Indio, Flintridge, Santa Barbara and The Cow Palace. On the east coast she earned top placings at The Hamptons and The Washington International Horse Show, however she also took some falls that shook her confidence. "I felt tremendous guilt at letting my horse down. I did not have enough skill or understanding to restore what had been lost between me and my wonderful horse. I realized later that we were under prepared for this level of difficulty. As painful as this was, it taught me how delicate and precious our relationships with horses are, and later guided me in my approach to working with people and horses." During the late 70's and early 80's Siri took a much needed break from riding and attended university, traveled and got married. She credits this downtime with her renewed enthusiasm when returning to the horses. Having reflected on her strengths and weaknesses she began to search for some different paths to success with her horses. "I had been out of the sport for four years and had to start all over. It was hard, but I was determined." Siri took a job galloping two-year-old race horses at a farm in Santa Ynez where she met Kristi Chilcote from Idaho. Kristi had grown up riding with Gene Lewis and Ray Hunt and spent a lot of time experimenting. "When I watched Kristi with the two-year-olds there was something special going on. The other exercise riders seemed to be constantly hassling their horses, but Kristi was so quiet and her horses looked willing. She would tell me these fantastic stories about clinics with Ray and Gene. Although I couldn't grasp the nuances of their approach, I had been exposed to similar concepts that I tried to incorporate into my own riding and handling." Anxious to get back to the jumping world, Siri began working for her old trainer, Mousie. In addition, she ran a large lesson program using school horses. She learned much about matching horse and rider, gaining deep respect for safety, basic horsemanship and a horse's willingness to fill in for a rider's limitations. She competed once again and continued to clinic with George Morris, Victor Hugo-Vidal and Anne Kursinski. At this time she also began to see the importance of dressage and rode with Kamila DuPont. 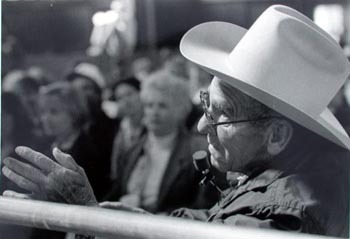 Shortly after her son was born in 1985, Siri and a group of partners bought Stonehouse Farms in Lakeview Terrace, CA. It was here that she and her friend Kristi worked together again, starting young horses and working with hunters, jumpers, equitation horses and race track layups. Kristi insisted on a round pen. "When it was built she would disappear inside, then reemerge with one of the young horses who seemed easier to ride than the older 'broke' horses. I was very busy at the time trying to reestablish myself on the competitive scene. If there was a horse that needed special attention with loading or ground handling, Kristi would spend a little time with it and Voila! Horse in trailer, relaxed. If I asked Kristi to teach a lesson, I'd see her over in the arena getting a horse to back slowly or preparing a rider to mount from the fence and I'd think 'Well that's nice, when does the lesson start?' But when I asked the person how it went today they'd say 'I learned so much!' Kristi shared a tremendous amount of her understanding with me and gave me Tom Dorrance's book 'True Unity.' Kristi had never met Tom, but had learned about him through Ray Hunt. She told me that all the answers were in Tom's book. Wow! I thought, let's read this immediately. Well, it's twenty years later and I'm still reading Tom's book and gaining insight." With her careful approach Siri was able to school young and inexpensive horses to a high level. 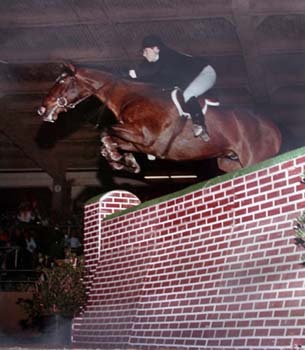 During her six years at Stonehouse Farms she brought along many top horses and riders in the jumper and equitation divisions, including long-time student Tracey Wade, pictured at left, riding Great Scott in the Puissance Class at the Los Angeles International Horse Show. 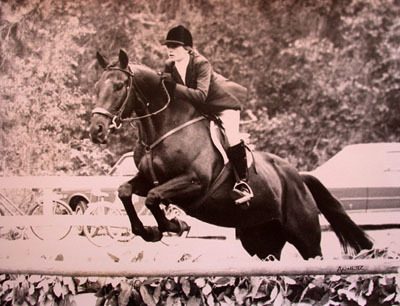 In 1990, Tracey won the CPHA Horsemanship Finals, The Los Angeles Medal Finals and was fifth at the ASPCA Maclay Finals at the National Horse Show. In spite of these successes, Siri's eight years with Tracey also revealed how difficult it had become to compete at the top levels against those with enormous financial advantages. 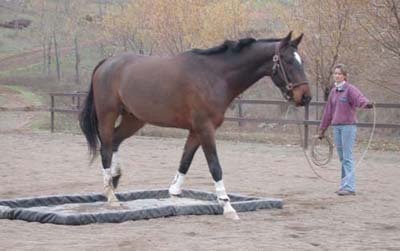 In addition, many equitation trainers were achieving their success by endless drill, causing the horses to become sour, sore and dull. "I was watching the USET Medal Finals in Los Angeles and it made me cringe to see horses jumping so flat, being discouraged from performing to their potential just so that their riders could have a smooth ride in order to win a ribbon." In 1992, Siri and her family moved to northern California where they reside today. At this time, Siri began working at Flying Cloud Farm in Petaluma where she met Terry Church, a well respected dressage trainer. She and Terry shared some of the same philosophies regarding their approach to the horses. Terry had been working with Tom Dorrance for a number of years and, in 1996, invited Tom to come to Flying Cloud to hold a clinic. "I was so anxious to finally meet Tom. It seemed like things had been leading up to this opportunity for me to grow and get excited again. I had no idea what a profound effect that clinic would have on me. After three days with Tom, everything I thought I knew had to be reexamined because there was this new way of looking at the most basic things. It occurred to me that all of my experiences with my friend Kristi had helped me get ready for Tom's approach, yet I still felt so far away from a real connection with my horses. After all these years of hard work things were still pretty far from what could be! This was exciting because I love to be challenged, but it was also very daunting." Siri continued to work with Terry at Flying Cloud where they shared ideas and spent as much time learning from Tom as possible. In 1998, Siri moved to Hawkwood Hill Farm and was in charge of starting the young horses for the jumper ring as well as competing and training other students. Terry joined the team not long after. "Terry and I have really enjoyed collaborating and learning from working with these young horses. It has been a unique experience to start and promote performance horses using a 'true unity' approach. I know this new consciousness helps me so much when I am riding and teaching, but it can be a big challenge to convey to other people." 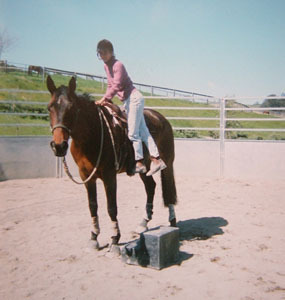 This young horse needed help overcoming his fear of saddling and being mounted. It took hours of preparation to get him ready to feel this relaxed, but he really came through. Siri is now located in Marin County, California. She and her assistant, Abby Hill, keep busy with a small number of eager students and young horses and remain in search of horses to compete at the top levels. "Abby is helping me a great deal with getting things up and running and we have a great time working together. I've made the choice to keep my business small so we can really give the horses and people the time they deserve. 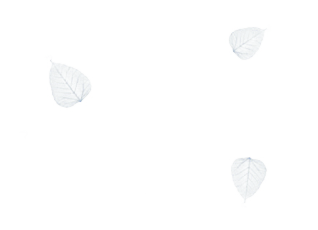 I am also looking forward to teaching more clinics both locally and nationally." For information on Siri's clinics, please see her CLINIC PAGE.